While traveling through the California High Desert, keep an eye out for a parked bus that seeks to transport visitors to a different reality. 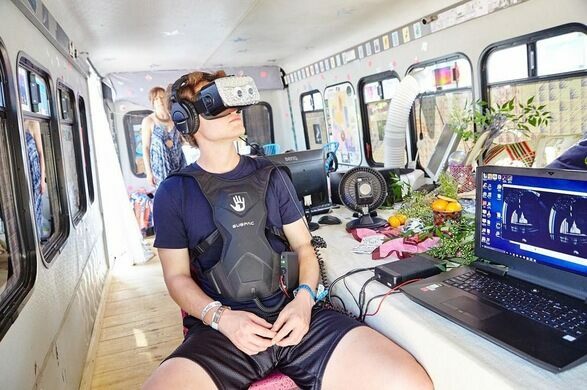 The Dream Wanderer showcases a virtual reality piece called Lily Dale, inspired by and named after a small faith-based psychic utopian community in Western New York. Lily Dale was founded in the 1880s as a haven for spiritualists and freethinkers, and mediums who live there claim to talk to the dead. 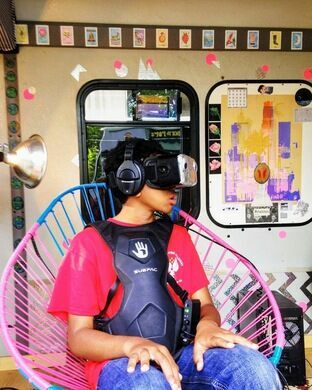 Flatsitter, a Buffalo, New York-based arts collective, has created an immersive virtual reality experience that takes visitors on a vivid dream-like journey based on interviews with today’s Lily Dale mediums. The entire experience blends a rich soundtrack with intense visuals to give patrons a deep, complex look into the mediums’ stories. 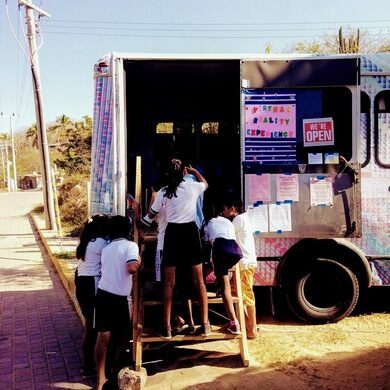 Visitors begin their journey by choosing from a deck of Tarot cards. The three cards they draw then determine which reality they enter. 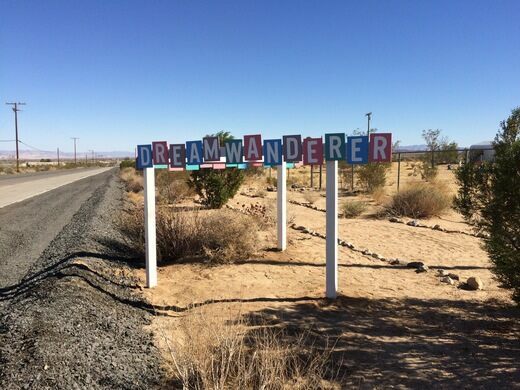 Before the Dream Wanderer arrived at its final desert destination, it traveled throughout the United States. 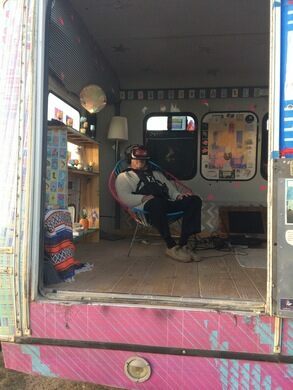 During the months-long tour, the artists brought these virtual reality experiences to thousands of people across the North American continent. Their now-permanent location is a unique stop for those seeking a relaxing, trippy, and mind-opening experience while traveling through the Joshua Tree area. Check the website for open hours and to make an appointment! This VR is kid-friendly too.